If You’re planning a trip to Canada, make sure you know what visa you need to get before you travel. 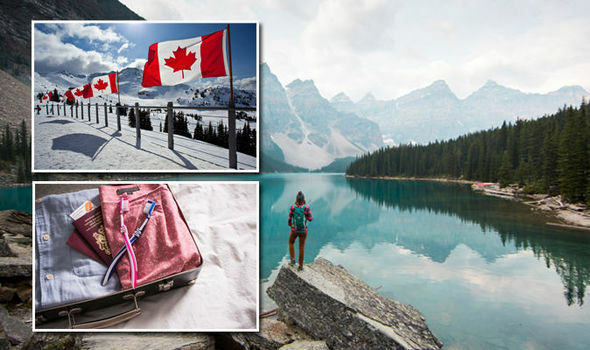 Home to grizzly bears, astonishing landscapes and cosmopolitan cities — Canada is an alluring combination of the old and the new. So it’s little wonder that around 724,000 British nationals visit Canada each year. And if you are one of them, you need to make sure you get the correct visa before you travel — as the rules are changing soon. Similarly to the American holiday visa — ESTA (Electronic System for Travel Authorisation)- failure to obtain this document prior to travelling means you WON’T be allowed in the country, although in Canada that rule will only apply from 30 September 2016. Electronic Travel Authorisation (eTA) is required for all British citizens entering Canada from 30 September 2016. There are exemptions for this who have a valid Canadian visa or permanent residency card, and if you hold dual British-Canadian nationality you cannot apply for an eTA. You should also ensure that you have enough funds to support the duration of your stay, as you will need to show this. You will need an eTa if you are travelling by air to Canada, however you don’t need one if travelling by land or sea. Regardless of which way you enter Canada, you must carry an acceptable travel document and identification. Unlike some countries, your passport only needs to be valid for the duration of your stay.